Dr. Michel Podtetenev, medical director of Invisia Clinic, takes great pride in providing his customers with the most high-end technologies available on the market. Whatever vision problem you may have, you’ll find that Invisia Clinic can offer solutions for a safe and optimal vision correction. At Invisia, we use state-of-the-art instruments made by Zeiss, a global leader in the optical industry. Originally a Germany-based company, Zeiss has been contributing to technological progress for more than 170 years. It has a notable expertise in biomedical research and medical technology, especially in ophthalmic diagnostic instruments and lasers. 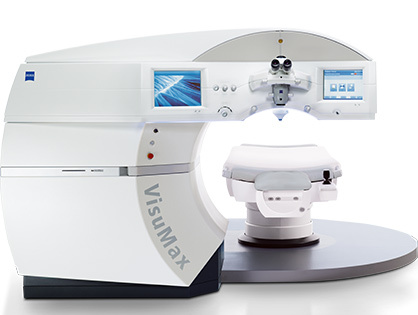 The femtosecond laser we use is the VisuMax. Unsurpassed comfort and extremely fast. Less occurrence of eye dryness. Treatment is delicate, with no loss of vision (only laser in its class to offer this feature). Enables the operation on very thin corneas that would be considered inoperable elsewhere. Minimally invasive vision correction without corneal flap with the revolutionary ReLEx SMILE technology (only at Invisia!). Extremely fast and precise, it takes only 28 seconds to create a lenticule of any myopic correction. Bladeless corneal flap creation with LASIK (Femto-LASIK). Precise: the VisuMax laser can create a flap of 100 microns, plus or minus 5 microns, with unparalleled precision. Fast: it requires only 18 seconds to create a flap. Safe: it creates a reverse cut allowing for increased stability of the corneal flap, which is impossible to conceive with a bladed microkeratome. 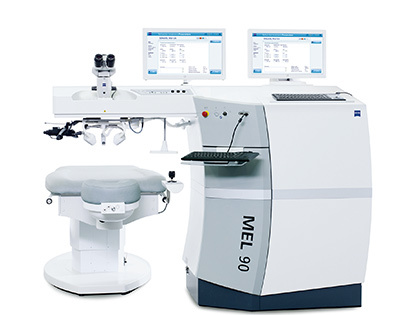 The laser we use for customized corrections of vision defects is the MEL 90. This high-end laser is the fastest on the market and offers maximal comfort. Provides wavefront-optimized treatment and eliminates all optical defects, whenever possible. Aspherical treatment that ensures a noticeable reduction of night-time vision problems compared to standard treatment. Most of our patients do not experience halo or glare effect after one month. Correction that removes significantly less eye tissue than the majority of lasers on the market, thus allowing to treat very thin corneas that would be considered inoperable in other clinics. Iris registration detects rotation of the eye and compensate for this rotation during treatment, which is important in the correction of the eye’s astigmatism axis. Active eye tracking technology ensures that the treatment is always centered. Therefore, even if there are involuntary eye movements, treatment will always be optimal and perfectly centered. Most of our instruments are for single use. Our other instruments are sterilized in accordance with the highest standards. For bilateral eye surgery, we use two trays of instruments, one for the right eye and one for the left. This allows us to perform the two procedures separately, minimizing any form of cross contamination. 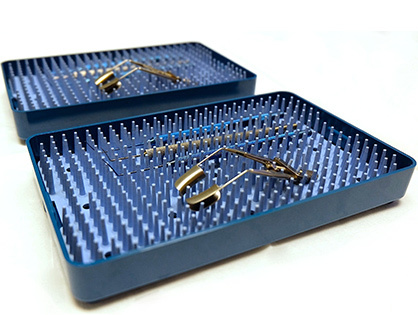 We are proud to be one of the few clinics to use two separate instrument trays to ensure your safety. Although laser vision surgery only requires access to a sterile room, at Invisia we offer you a real operating room. 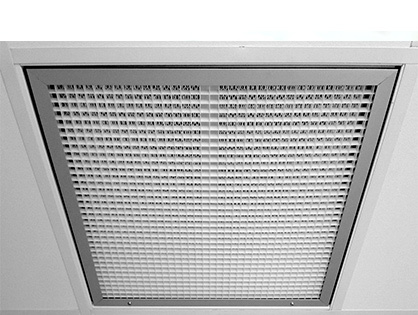 It is equipped with HEPA filters that filter 99.9% of the air, positive pressure to prevent the return of contaminated air and a sterile anteroom to minimize any risk of infection. 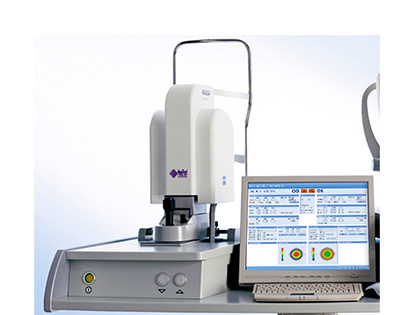 This machine analyzes the surface of your cornea with great precision to detect any abnormality which could indicate a contraindication for laser eye surgery. It is one of the few topographers that can be connected to the MEL 90 laser system to treat corneal conditions. This device analyzes the cornea with exceptional accuracy. 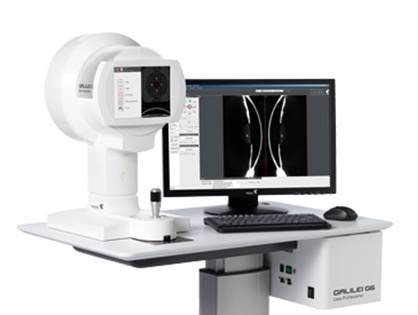 When connected to the Atlas topographer, it can analyze the posterior surface and thickness of the cornea with unprecedented precision. 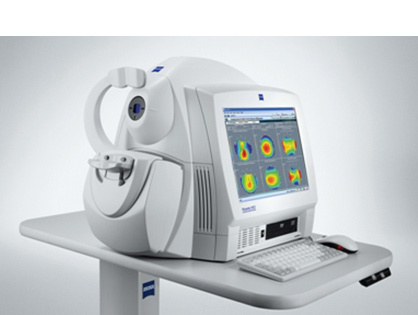 This machine identifies all defects of the eye and records an image of the iris to provide a perfectly centered treatment. This topographer is equipped with two Scheimpflug cameras and a motion sensor. 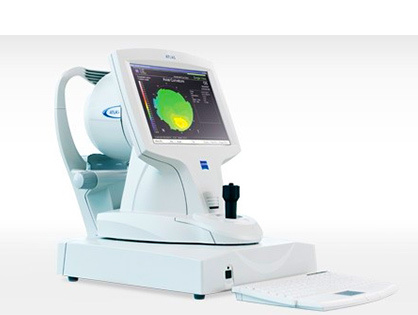 It can very quickly and accurately measure the thickness, the anterior and the posterior surface of the cornea.